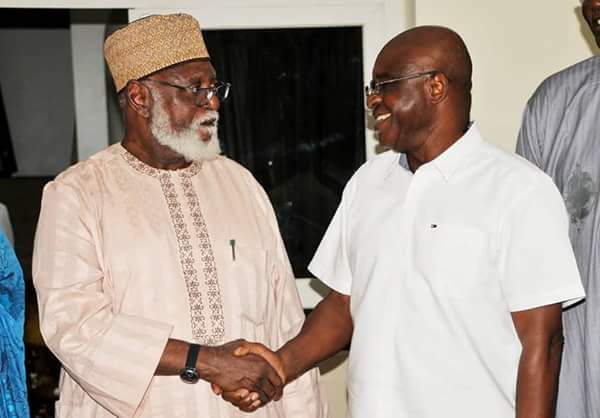 Ahead of the 2019 presidential election, former Head of State, General Abdulsalam Abubakar has said that Peoples Democratic Party (PDP) Presidential aspirant, Senator David Mark is one of the capable hands needed to lead the nation out of the woods. 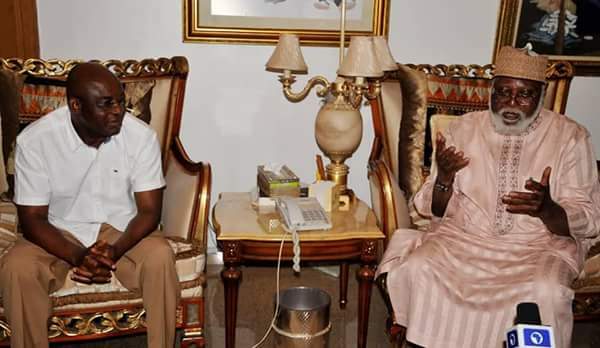 General Abdulsalam made this remark when he played host to Senator Mark’s Campaign Team in his Abuja residence, disclosing that the latter has over the years demonstrated unwavering commitment and service to his fatherland. 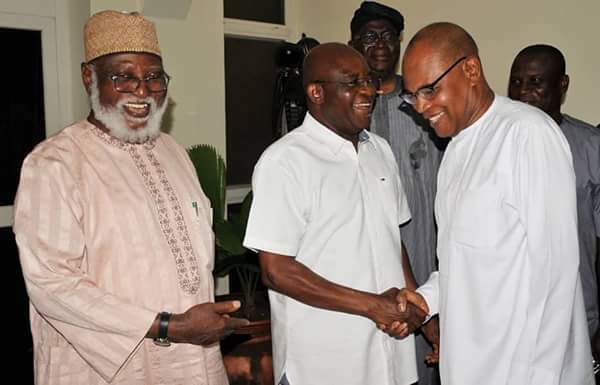 “Both as a military officer and politician, Senator Mark has proved to be a reliable and competent administrator. The nation would benefit from his wealth of experience if given the mandate to be President of the Federal Republic of Nigeria,” the former Head of State said. He added that Senator Mark where ever he served, left a legacy of meritorious services saying “David always make his mark”. Abdulsalam said he was pleased to note that PDP is putting its house in order and playing the role of opposition party hoping that the 2019 elections would be free, fair and credible.He counseled political parties, aspirants and supporters to play the game according to the rules adding that only the wishes of the people should endure. 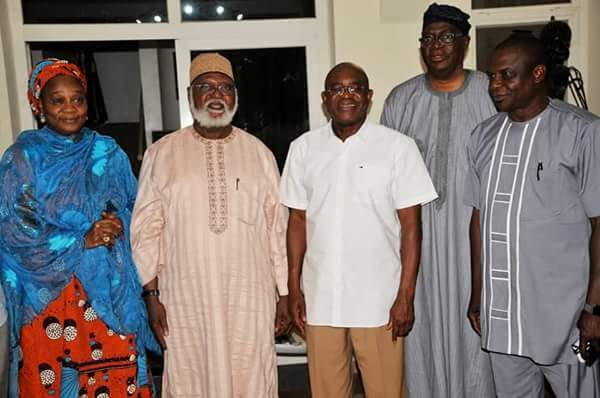 PDP Presidential hopeful (Mark) told his host that he is prepared for the contest believing that his track records of meritorious services to the nation puts him in a better position to lead the nation.